The London School of Economics is facing “very serious allegations” after footage emerged on Facebook of an altercation between a security guard and a first-year law student. The 40-second clip was purportedly filmed after the LSE student, Banu Hammad, was stopped from praying outside of her property law lecture. The footage ends, Hammad claims, with her being “forcibly pushed against a wall”. 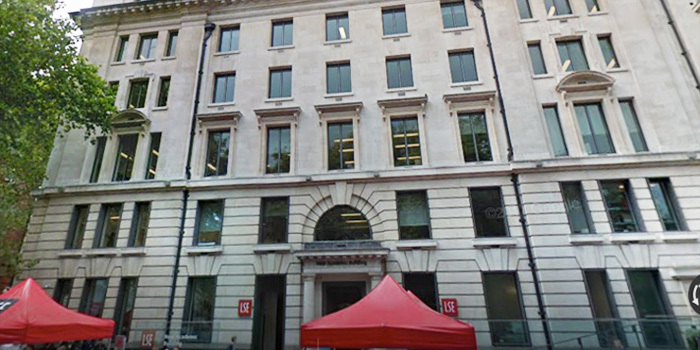 A spokesperson for LSE has told Legal Cheek it has removed the relevant staff member from duties and is investigating. Since the video was posted by a law student friend of Hammad’s online, Hammad has written an open letter about the incident, which has been seen by Legal Cheek. After finishing her prayers, Hammad claims she approached the woman, a security guard, to find out her details. This is where the video, recorded by Hammad, begins. 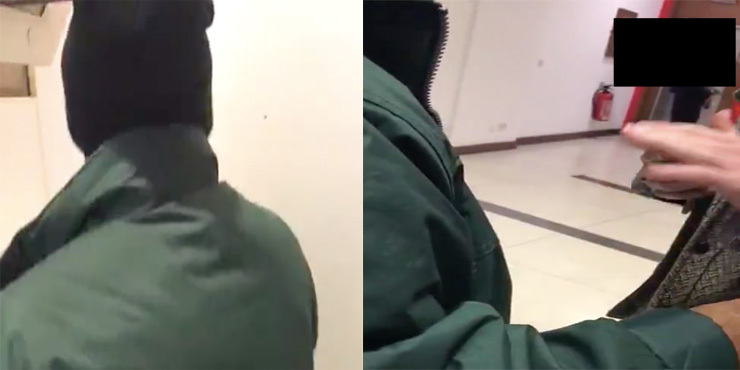 The video seems to show the security officer in question yelling at Hammad “we have a prayer room, you go there”, while the first year tells the irate woman she’s unable to do so because she only has a short break between lectures. When Hammad asks the security guard for her staff number, the video becomes shaky before cutting out seconds later. Hammad claims she “was forcibly pushed against a wall and my phone was confiscated without consent”. Only in LSE, you dont get this kinda crap at Oxbridge. In fact, our university would never allow nor interact with any diverse person that is not from our similiar and wealthy background, talk about push one. So funny I forgot to laugh. Back in your box. So, in response to an article painting prejudice as a problem, the first comment displays wanton prejudice against those who attended Oxbridge. I was going to say that this level of hypocrisy pretty much sums up most LC posters… but I guess that would be prejudiced. I never thought I would prefer Not Amused to another repeat poster. Is it not obvious that LSE should work around her faith and values. In what sense did LSE have to “work around” anything? This person wanted to pray in a quiet corner, and there is nothing to suggest that what they were doing was disruptive to anyone. The only disruption was caused by the two individuals who decided to take exception. If a student wants to stand in a corner of a university owned building and do the hokey cokey then provided what they are doing does not interfere with anyone else’s reasonable use of the space the university has no business getting involved. I fail to see how prayer should be treated any differently. You appear to take exception to the fact that she is a Muslim. What about the “faith and values” of people not wanting others praying in common spaces? If you don’t understand this, how can you even think of graduating? I’m not aware of any faiths that have as a tenet a prohibition on being exposed to the prayers of others in a public space. Do enlighten me. I also fail to see how the existence of a prayer room could be construed as prohibitive of prayer taking place anywhere else. Presumably when the LSE Christian society meets they (a) do not meet in the prayer room and (b) do not decant to the prayer room before praying. Which part of his job was he doing when he pushed this woman up against a wall? Why did he need to get involved at all as part of “doing his job”? I can absolutely see that criticism might be made of the girl for being indiscrete or insensitive to others, but there is no reason why that should translate into a good reason for a security guard to get involved, or for an individual to shout across a room that they object to the praying. I would have thought ignoring the person, perhaps with an eye-roll at their slightly performative choice of place to pray, would be a sufficient response. I have already said this (above) but no one seems to be able to give me an answer. What part of his job was the security guard doing? What threat to security was caused by someone praying in a room? Second, you suggest that this person was doing something “at the expense of the majority.” How do you say that “the majority” was adversely affected here, or suffered any detriment whatsoever, by this person praying? You didn’t even read the article to notice that it was a female security guard not male? How sexist of you, you’re a disgrace! Mea culpa. Silly assumption to make. I’ll forgive, perhaps in time I can forget. You’re not a bad person, don’t beat yourself up over it. Plainly, putting a big stone in the middle of the room and spreading blood everywhere would interfere with other’s reasonable use of the space. So no. On the other hand if you want to sit in a corner and pray to Thor, I really don’t see why anyone should object. I am no friend of religion. However, there is no rule of law I am aware of requiring the religious to pray only in designated locations. Prayer rooms are provided for the benefit of the religious, but this does not mean the religious are legally obligated to use them. If the security guard therefore challenged the student merely because she considered the student to be praying in an inappropriate location, then the guard was wrong. The video begins with the guard to her back to the student, walking away. I note also that the student says she was able to finish her prayers. I find these matters inconsistent with a security guard who was abusive merely because the student was praying. Such a guard would surely have stopped the prayer and forced the student to move on. Accordingly, I am sceptical of the accuracy of the student’s account of events. I will say no more until we hear the guard’s version of events. Agreed, this whole story reeks. I don’t understand why the student has also not been suspended pending a resolution? Did she think it was in any way the best way to resolve this by setting her phone to record and approaching the security guard? Surely she could have either (i) taken a discreet picture, or (ii) asked for the security guards name/number. Once in possession of either of these things she could have raised a complaint. Both of these steps would have avoided the matter being escalated? I believe that universities should be religiously neutral, providing multi-faith prayer rooms as the university has in this instance should suffice. If the student had an issue with this then she should have raised it with the university, who I am no doubt would have assisted. In this instance for the student to kneel down in the busy and very open area, is not only insensitive to others, but no doubt presents a health and safety hazard, both for her and the public, who might not wander round looking for women on the floor! You’ve totally missed the point, why would you record yourself asking for this? Why not just ask, or take a picture discreetly? The same reason drivers in Russia use dash-cams and cyclists in London use helmet cams. It avoids disputes as to who said/did what later. Note the article on LSE Beaver has not a single Islamophobic post. This article on Legal Cheek is attracting some hateful trolls. LC need to need to a better job of moderating hate on their blog. Agreed. Moreover, Beaver published an article by a second year law student critically examining what took place and taking measured response to rights and wrongs of the situation. If the worm ever turns, Katie hold the door. I disagree with the hate, and I think the student had the right to pray wherever she liked- this is not aggressively secular France- but I also disagree that LC should be censoring comments about it. When topics are off limits due to “safe spaces”, “no-platforming” and the moderation of “unacceptable” views, it’s a slippery slope. See disgruntled law students that are tired of reading projecting their anger onto an alleged victim above. Half of these commentators are masked racists that are hiding behind anonymity since they cannot make these statements out in the open because, well, law. I work as security in a Uni. We asked all students to respect others, a lot of students do not feel comfortable seeing religious displays in public and asked all students to use the facilities provided (and yes they do complain to security). I am not surprised this involves a first year law student as in my experience they are the only students that tell you what they are studying when they are not complying with university policy and believe it does not apply to them as they no better. Yes this could of been handled better but this report and video does not give a full story. I interpret this as meaning that if you see religious displays in public, you intervene, ask the student to stop and ask the student to go and use the private facilities. If I am right, then my question is this: on what lawful basis are you entitled to do this? I accept entirely that public displays of religious faith may make some subjectively uncomfortable. However, if there is nothing objectively threatening, abusive or dangerous about their conduct in a public place, I don’t see what lawful power you have to restrict it.